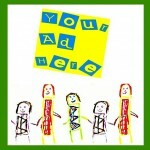 ← Colortime Crafts and Markers offer amazing products for any occasion! What is VIPKID and can you do it too? Have you seen all the advertisements and think to yourself that it sounds too good to be true? Let me tell you a secret. It IS too good to be true….but it IS true! 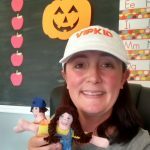 I’ve been a VIPKID Teacher since July and all I can say is that I absolutely LOVE it! I get to teach amazing kids and have fun every morning. It’s a great 2nd job for me since I am a full time virtual Special Education teacher with 4 kids aged 12 and under who are quite active in sports. Having a 2nd job was never an option before VIPKID. However, now, VIPKID gives me the flexibility I need in order to hold a 2nd job. So far so good? Let me tell you some more about it. VIPKID is an online and fully immersive one-on-one English language instruction for children in China ages 4-12. The company is headquartered in Beijing and offers a unique and international learning experience for Chinese children. Each VIPKID Teacher is required to hold a Bachelor’s Degree. You can live anywhere as long as you have a computer, stable Internet, a microphone, camera and headset. Students schedule a 25 minute class with a teacher in 30 minute time slots. Teachers can work any time they want and they control their schedule. I choose to work for an hour each morning before I start my full time job. I also teach a few classes over the weekend. Some teachers work through the night hours and consider themselves full time. You can do whatever works best for your situation. The main time slots for teaching in Beijing time are Monday through Friday from 6:00 pm to 10:00 pm and Saturday through Sunday from 9:00am to 10:00 pm. These times are when VIPKIDs are available to schedule with you. Within those times, there are peak times which are in high demand and if you are available to teach during the peak times, you have a better chance at getting booked. You set your schedule for whenever and how many sessions you want and VIPKIDs find you and schedule with you. THAT’S when the fun begins! I don’t consider working as a VIPKID Teacher a JOB. I consider it a time that I get to travel across the world to China every morning to meet an amazing child, teach them English, have an obscene amount of fun, and then get paid for it. I can’t tell you how many times my children ask me what in the world I was doing in class because they heard me laughing, singing, and being just plain silly. Sometimes, after class, my kids come up to me and ask, “Mom, were you teaching —– again this morning? I know it was him/her because you were so loud and having way too much fun again.” Or “Mom, I heard you rapping with —– again this morning. You’re weird.” But you know what? IT WAS SO MUCH FUN! You can earn between $14 and $22 per hour with VIPKID! SIGN ME UP!!! Oh wait…I already did and LOVE it! You don’t need to know an ounce of Chinese to teach these kids. Since this is a fully immersive instructional program, English is the only language spoken. 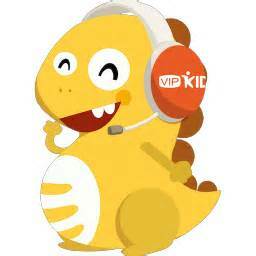 The students enter the VIPKID program at various levels and are moved through the levels of the program as quickly or as slowly as they choose. I think the best thing about VIPKID is that you truly feel like you are making a difference because you ARE. Within the 3 months that I have been working at VIPKID, and even with taking 2 weeks off for vacation before my full time job resumed, I have met over 75 amazing kids. I have had a fully booked schedule each week since my 2nd week working at VIPKID and continue to meet more amazing kids each week. Many of my students are regulars whom I see at least weekly and sometimes multiple times in one week. One has even begun to call me “Kimmy.” I told her my name is Kim and she said, “Yes, but I will call you Kimmy.” She’s so sweet that I can’t say no. So what do you think? 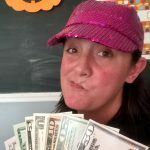 Do you think VIPKID is for you? If so, I’m here to help you! 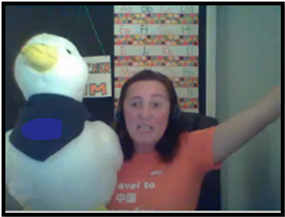 Haven’t applied to VIPKID yet? Use my referral link HERE which will automatically add me as your referring teacher. Then, you can send me an email at VIPKIDTeacherKim@gmail.com and let me know that you signed up so I can begin helping you immediately! Have you already begun the interview process? Send me an email at VIPKIDTeacherKim@gmail.com to let me know that you would like my help! This entry was posted in Cool Ideas, Uncategorized. Bookmark the permalink.